To manage the increased volume of traffic on our city’s streets and changing traffic patterns in advance of the SR closure beginning Friday, January 11, we’re configuring key streets and restricting parking on key streets in Seattle. On Roy St heading eastbound between SR 99 and Dexter Ave N, the right lane will be temporarily striped as a right turn only lane. This will allow drivers traveling out of the tunnel to avoid backup on Republican St and instead take Roy St, the second exit, to turn right and head south on Dexter Ave N.
This work will occur from 9 AM – 3 PM on Wednesday, January 9 in order to be completed before rainy weather is expected to occur over the weekend. Weather depending, this work may be pushed back, but crews will work to wrap this up quickly! Beginning at 7 AM on Saturday, January 12, our crews will convert Seneca St between 1st Ave and 3rd Ave to a one-way street headed westbound. This is to accommodate the shift from the Alaskan Way Viaduct Seneca St off-ramp closing, as cars will no longer need to use Seneca St headed eastbound off of the Viaduct off-ramp. This change increases our city streets’ capacity for mobility. This work will be completed by the end of the day. Temporary no-parking signs will be posted beginning Friday, January 11 in order to provide 72 hours’ notice of these parking changes. Please note that only 24-hour notice is needed prior to parking enforcement so we’re posting the signs over the weekend to provide additional time for public awareness. On key streets downtown and in West Seattle, on-street parking restrictions will be in place Monday – Friday from January 14 until about mid-February, when the northbound off-ramp to Dearborn St opens. 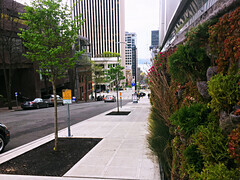 On-street parking options downtown during the SR 99 closure will be limited. People, businesses, schools, manufacturers, and many others rely on the timely delivery of products and goods, and we want to ensure they move as predictably and efficiently as possible. These are just a few of the ways we’re preparing for the three-week closure of SR 99 and the Seattle Squeeze, which will impact traffic across the region. We’re working hard to make sure we’re keeping people and goods moving safely and efficiently, and we appreciate your patience and understanding as we all adjust to this new normal. Notice of future impacts related to the closure of SR 99 and other projects impacting traffic during the Seattle Squeeze are posted to our blog at www.seattle.gov/traffic. Head to this website for the latest updates and announcements. STARTING WEDNESDAY, JANUARY 2: Buses merge with traffic on Aurora Ave N at N 100th St.
We’re making progress on the North Seattle Neighborhood Greenway. 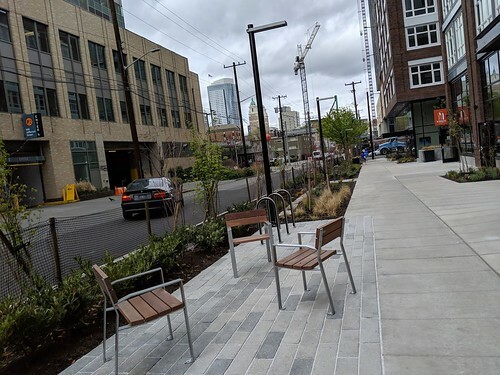 Heads up travelers, we’re making progress on the North Seattle Neighborhood Greenway and will be installing accessible curb ramps and sidewalk improvements. Starting as soon as next Wednesday, January 2, here’s what you can expect. 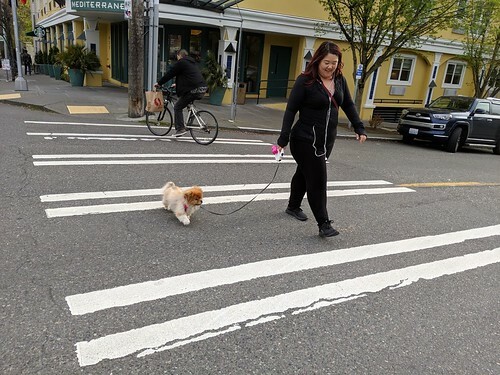 Nearby at Greenwood Ave N and N 100th St, traffic on Greenwood Ave N will be shifted around the construction work zone as we install a pedestrian island and pedestrian signal on Greenwood Ave N, as well as new accessible curb ramps on the west side of the street. Regular weekday work hours will be 7 AM to 4 PM. It is weather-dependent and may be rescheduled. For the safety of everyone using the street, please follow posted detour signs and avoid residential streets unless you live there or have business in the area. It’s important to drive slowly and be aware of the work areas. N 100th St at Greenwood Ave N (west side of intersection) will be temporarily closed to through traffic during this work and open for local access only. Traffic will return to normal in spring 2019 once improvements are complete. Once complete, those driving will no longer be able to cross Greenwood Ave N at N 100th St (see map on project webpage). Two-way traffic on Greenwood Ave N will be maintained with lane shifts around the work zone. Bike lanes in the vicinity will be closed during construction, and people biking will be directed to merge with traffic. People walking will be redirected around the work zone, with a flagger available to assist during work hours. The northbound bus lane on Aurora Ave N near N 100th St will be closed during the weekday, off-peak hours. Buses will merge with traffic. N 100th St at Aurora Ave N (east side of intersection) will also be temporarily closed to through traffic during this work and reopen outside of work hours (Monday-Friday, 7 AM to 4 PM) when possible. Local access will be maintained via Stone Ave N. Traffic will return to normal in spring 2019 once improvements are complete. Bus stops will remain open but may be temporarily relocated. Please check King County Metro Alerts for more information. About the North Seattle Neighborhood Greenway. 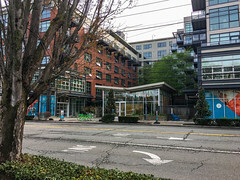 The North Seattle Neighborhood Greenway will connect the Crown Hill, Greenwood, Licton Springs, and Northgate neighborhoods with the planned Northgate Pedestrian and Bicycle Bridge, which crosses I-5 and connects to the future Northgate Link light rail station, bringing people to popular destinations including parks, schools, business districts, other greenways, and transit hubs. Please contact the project team at northseattlegreenway@seattle.gov or 206.684.8105. There’s also more information on the project webpage! For more information about King County Metro service, visit kingcounty.gov/depts/transportation/metro. City of Seattle to celebrate 100th Community Engagement Event | SR 99 Viaduct closure & Seattle Squeeze! To inform people about their travel options during the SR 99 closure and beyond, the City of Seattle – in coordination with partners at the Washington State Department of Transportation, King County Metro, and Sound Transit – has been actively engaged in briefing communities since early September, throughout Seattle and the Puget Sound region. 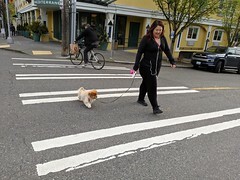 These events educate people about suggested strategies to navigate or avoid the upcoming challenges to the City of Seattle’s transportation system. This week, the City celebrates its 100th event at the Figgy Pudding Caroling Competition on Friday, December 7. Join us from 6 – 8:30 PM at Westlake Park for caroling and hot chocolate as we celebrate the holidays and provide visitors with information about the Seattle Squeeze. Figgy Pudding attracts nearly 10,000 people and raises funds for the Pike Market Senior Center and Food Bank. To continue spreading awareness of the upcoming permanent closure of the Alaskan Way Viaduct on January 11; the new SR 99 tunnel that will open in early February; and Seattle’s new era of tough traffic over the next five years, Seattle Department of Neighborhoods, and the Seattle Department of Transportation began hosting information sessions across Seattle last week. At these sessions, community members get the latest details, ask questions, and begin preparing. A full list of the briefings hosted by Seattle Department of Neighborhoods and the Seattle Department of Transportation is available here. Additionally, the Washington State Department of Transportation (WSDOT) is holding a series of information sessions this week to share what to expect during the Viaduct removal; meet members of the team; and have your questions answered (details on WSDOT’s Program Events webpage). If you have any questions, please do not hesitate to reach out! Thank you for your help in informing Seattle about the Seattle Squeeze! For more information on the City of Seattle’s strategy to manage congestion over the next five years, please visit www.seattle.gov/traffic. Start Your New Year’s Resolution Early: Talk to Your Employer About Commute Options. The words “Seattle Squeeze” are buzzing around the region. Beginning with WSDOT’s permanent closure of the Alaska Way Viaduct on January 11 and continuing over the next three years, Seattle is entering a new era of tough traffic. Private and public megaprojects will continue to reduce capacity on our City streets and contribute to gridlock. 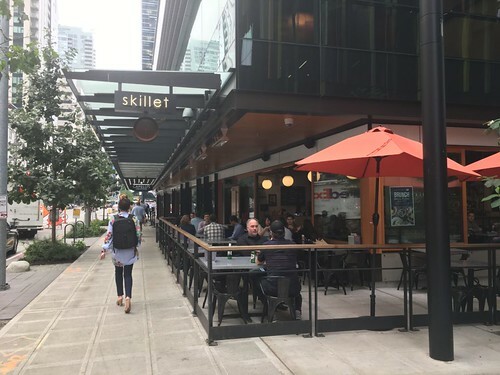 We’ll all have to adjust to a new normal in and around downtown Seattle. For many people who work downtown, this period will be particularly challenging and quite honestly, frustrating. We’re entering a new era of really tough traffic. To help our region get through one of its toughest periods, we’re working together with partnering transportation agencies and organizations to reduce congestion during this challenging period and limit the impact on commuters and businesses. Collectively, our commute choices will determine whether Seattle’s transportation system keeps moving. Every trip reduced or shifted off-peak, particularly vehicle trips, will help reduce congestion during the weeks of the viaduct closure and associated construction impacts. While your transportation agencies and partners work hard to mitigate the impacts of the closure, a partnership with the private sector is key to maximizing those efforts. …based on the policies, education, and incentives included in the employee transportation programs. Every business – big or small – can help reduce traffic congestion during this time by encouraging their employees to make good choices. To assist, Commute Seattle, (a nonprofit Transportation Management Association funded by the Downtown Seattle Association, yours truly (SDOT), King County Metro, and Sound Transit), will be providing free, personalized tools for Seattle-area employers to plan ahead for the #SeattleSqueeze. Seattle employers of all sizes have a range of options to help their employees stay informed and make good travel choices. Implementing a flex-work policy and encouraging employees to take advantage of remote work and flexible scheduling options can improve employee well-being and productivity while reducing vehicle trips to and through downtown. 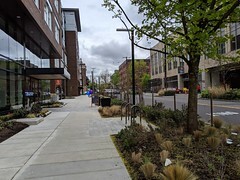 For those who are able, biking and walking are easy, sustainable ways to reduce traffic impacts for part or all your commute trip, and employers can support these choices through flexible scheduling, bicycle storage, and shower facilities. Investing in commuter benefits such as ORCA Business Passport makes transit an easier and more affordable option for employees, and helping staff members share their commute trips by establishing vanpool and carpool programs can be a great alternative for those who need to drive. Need some success stories? We’ve got ‘em! We’ve seen some pretty sweet success stories from employer efforts over the years, whether through our Commute Trip Reduction (CTR) program or other business support efforts. Several Seattle employers have illustrated how employees can be flexible if their worksite embraces travel choices and provides the right support. The Bill and Melinda Gates Foundation, located in Uptown, provides 100% subsidized transit, Monorail, and Vanpool/Van share commutes, as well as secure bike parking and HOV priority parking, resulting in over 65% of employees choosing commute modes other than driving alone. 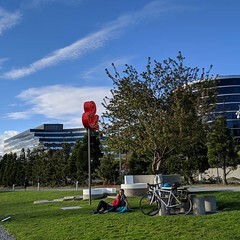 Tableau, a software company in Fremont, has fostered a grassroots movement of employees who track their commutes and compete for most miles and days logged using alternatives to driving alone, encouraging employees to try new modes and building a sense of community around these options. Let’s learn from our experience. We’ve seen it in the past with major closures – commute times will increase throughout the region. Peak commute hours will start earlier and end later, and in some cases, morning commute times will more than double. If they can, employers should urge employees to avoid trips during these busy hours, whether by shifting their schedule or compressing their work week. Staying flexible is the best way to reduce congestion on our roadways and will help employees stay productive and engaged. 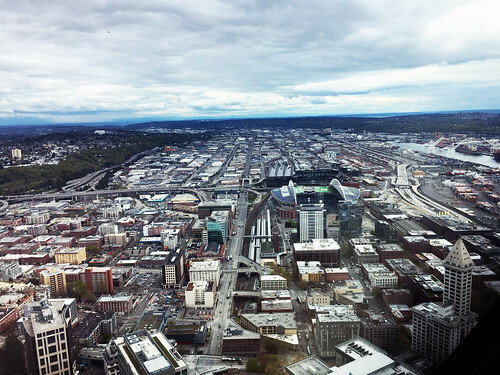 With early planning and the correct tools, Seattle employers can reduce employee stress and lessen traffic congestion, keeping their business thriving. And remember, at the other end of the tunnel (literally and figuratively) there’s a better transportation system waiting for Seattle! 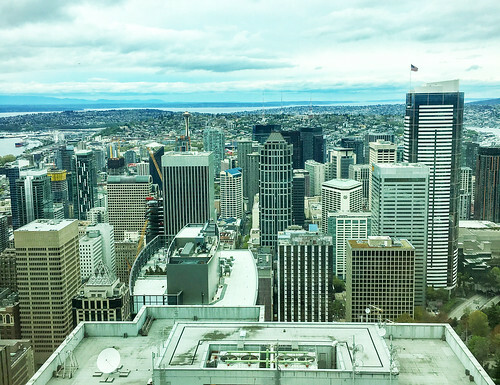 Commute Seattle is standing by to provide free assistance to your Seattle businesses, creating a personalized action plan tailored to your company’s individual needs. 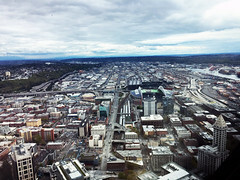 Contact us today at SR99@commuteseattle.com or visit our website at www.commuteseattle.com/SR99 to get started! Commute Seattle is also offering a Flexwork Open House on Wednesday, November 28 from 11 AM – 12:30 PM to help Seattle employers learn more about flexwork solutions. Learn more and register here! Other things you can do. Stay informed. Visit our new website, www.seattle.gov/traffic, for all of the information and resources you need to get around during the #SeattleSqueeze. For detailed information about the Alaskan Way Viaduct closure, new SR 99 tunnel, and SR 99 tolling, visit WSDOT’s website. Plan your trip. We’re providing real-time construction and traffic information with popular navigation technologies: Google Maps, Waze, and TomTom. But try transit, ride a bike, form a carpool, or walk. Spread the word. Share this information with your customers, delivery and service providers, and neighbors. We’re launching version 2.0 of free-floating bike share to give people more options to get around Seattle. 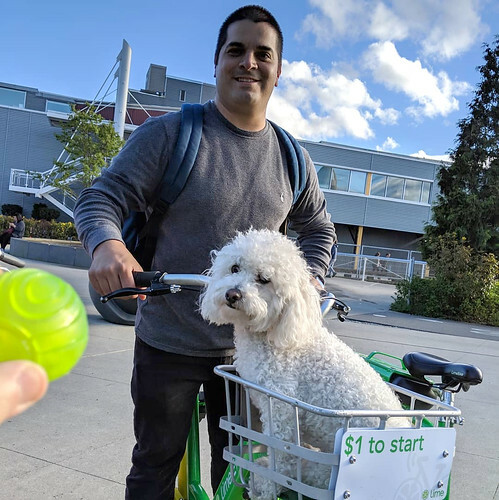 After months of evaluation and review, at Mayor Jenny Durkan’s direction we’re ready to issue permits to three bike share vendors for the next permit year – Jump, Lime, and Lyft– so people have more options for getting around Seattle. Good results from our bike share pilot. We learned in our free-floating bike share pilot that bike share is providing people with another way to get around – especially to access transit. At no cost to the City of Seattle, bike share users took over 2 million total rides through September 2018, including over 9,000 rides per day in July. Three-quarters of people who used bike share said that they used it to access public transit. Because the bike share pilot has provided Seattle residents and visitors another option for getting around conveniently, at Mayor Durkan’s direction, we recommended to the City Council that Seattle adopts an annually renewable bike share permitting program. That program gives us the chance to apply lessons learned from the pilot so that it can be even better for Seattle residents and visitors, more equitable, and provide even more options for getting around. There’s a new bike share or two in town! Those new permits are here! While each company is permitted 6,667 bikes, we expect the two new-to-Seattle companies, Jump and Lyft, to use the wet-weather months to gradually roll out their fleets, which could ramp up to nearly 20,000 available bikes by spring 2019. 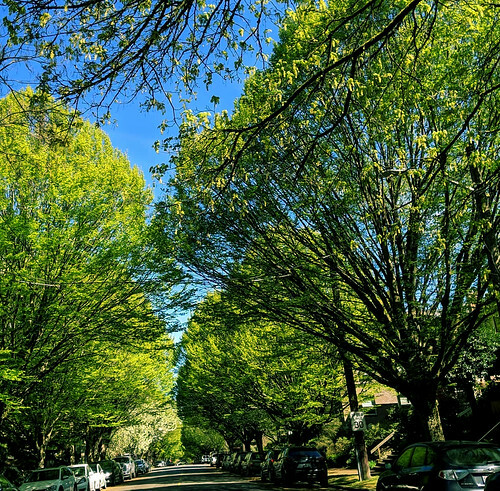 In the meantime, Lime will transition to the new permitting system, and their green bicycles and e-bikes will remain a part of Seattle’s transportation system. To learn more about how each of these companies will operate in Seattle, check out our bike share webpage for links to each company’s websites and permit applications. You’ll notice some changes to Seattle’s bike share system. In addition to new bike share companies and more bikes, expect to see some changes to Seattle’s bike share system over the coming months. Bike share parking in Ballard. One of the largest changes you’ll notice is a dramatic increase in bike parking citywide. As part of the bike share program, we’re applying a portion of the permitting fees collected from Jump, Lime, and Lyft, and will be building more bike parking citywide. This will increase our supply of bike racks and bike corrals by almost 20% in the next year alone! We’re also redesigning our on-street bike parking areas to better accommodate more bike share bikes, cargo bikes, and family bikes. 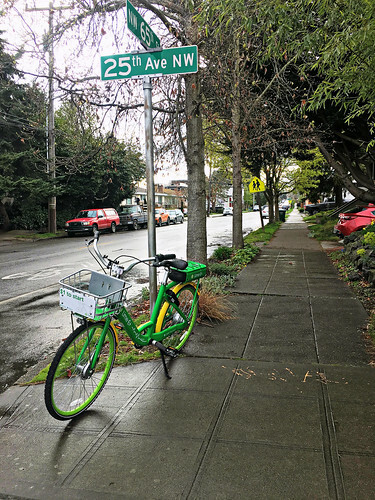 In addition to more citywide bike parking, our new bike share permit will allow us to do a lot more to ensure that these bikes won’t block Seattle’s sidewalks, bus stops, curb ramps, or otherwise block access. We’ll be actively monitoring how bikes are parked and reducing the fleet sizes of companies that don’t meet our high standards for proper parking. We’ll also be developing a bike-reporting tool, to allow people to directly report poorly parked bikes to us. That way we can make sure they are moved in a timely manner while collecting better data on how many bikes are improperly parked. We’ve also made sure that bike share remains affordable for people with lower incomes and have required each company to have easy-to-access low-income plans for those that qualify. Each company also has convenient ways for people without smartphones or bank accounts to still access bike share. Coming soon, visit our webpage for more info on how to access these features. Finally, we know that the bike share industry will continue to change and that our permitting structure will need to change along with it. That’s why we are committed to a continued evaluation of our permitting program. We’ll continue to collect and evaluate ridership data and will be reaching out for your opinions on what’s working and what needs improvement in Seattle’s bike share system. Let us know your thoughts, and we’ll keep working to ensure bike share keeps Seattle moving! For more information on Seattle’s free-floating bike share, visit our webpage, email our bike share program manager, Joel Miller, at joel.miller@seattle.gov or call 206.684.7639. The Seattle 2018 Annual Parking Study is out – helping you to play like a parking pro! Every year since 2010, the Performance-Based Parking Pricing Program assesses supply and demand, to help drivers more reliably find short-term parking. The effort supports downtown mobility by reducing circling and cruising for an open street parking spot. Over the years, SDOT has made 300 different adjustments to parking rates and other parking elements, addressing parking demand changes as Seattle grows. 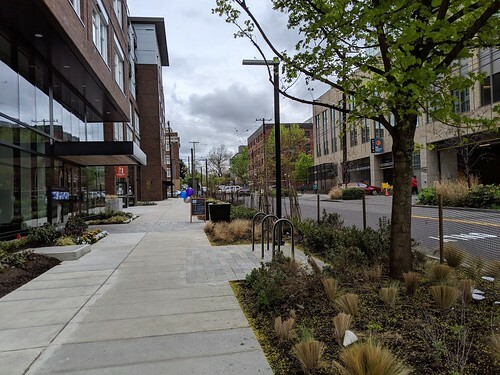 The Performance-Based Parking Pricing Program hones in on street blocks with more than 85% and less than 70% occupancy. Paid parking rates are then adjusted annually. In areas and times where parking occupancy is low and spaces easy to find, rates are decreased by $0.50 an hour. Where parking occupancy is high and spaces hard to find, rates are increased by $0.50 an hour. Goal: 1 – 2 open spaces per block. Visit our On Street Parking Map for rate information. The goal is 1 to 2 street parking spaces open per block, on average. Pricing helps to direct travelers to lesser used areas, and to consider the use of other travel options. This can ultimately reduce traffic congestion in areas where parking spaces are hard to find. For details on street parking by City area, click on the map above. We also have a citywide map showing parking regulations across Seattle, to help you plan your trip. 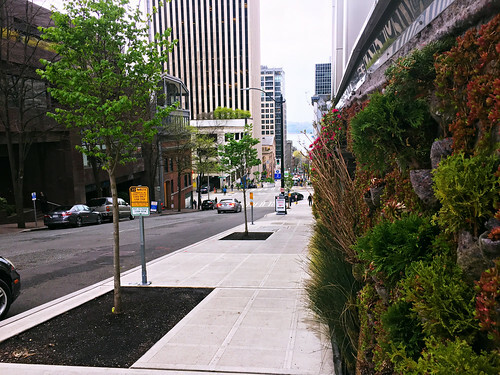 SDOT manages street parking by the time of day, with the potential for different rates in the morning, afternoon, and evening, based on local conditions. For example, parking occupancy in the Uptown Core (aka, Lower Queen Anne) is traditionally low in the mornings and high in the evenings. The trend continued in 2018, so we will lower the morning rate before 11 AM to $0.50/hour (down from $1.00), and increase the evening rate after 5 PM to $2.00/hour (up from $1.50). Rate and timing changes citywide are now in progress, through the end of 2018. The next analysis is expected to begin in the spring of 2019. For the full details on the 2018 Annual Study check out the report linked here. Updated on-street parking rates are posted to this link. And for the data hungry, get detailed datasets here, including a link to the thousands of data points collected for the 2018 Annual Study. If you’ve not noticed our traffic patterns changing already, you’re going to notice very soon. Starting January 11, 2019, the Puget Sound region will experience the longest closure of a major highway it has ever experienced. The time has come as Seattle prepares to bid its final farewell to the seismically vulnerable and aged SR 99 Alaskan Way Viaduct (the elevated portion of the highway next to the waterfront). On January 11, 2019, the Washington State Department of Transportation (WSDOT) will permanently close the Alaskan Way Viaduct in preparation for opening the new SR 99 tunnel in early February that will offer a direct route for drivers to get through downtown Seattle from the stadiums to the Space Needle. Alaskan Way Viaduct through downtown Seattle. Circa 1972. Item 169335, Forward Thrust Photographs (Record Series 5804-04), Seattle Municipal Archives. This means that once the viaduct closes in January, the days of traffic entering the viaduct from downtown’s Columbia Street and exiting the viaduct from Seneca Street will end. Instead, traffic will enter and exit the new tunnel in South Lake Union and SODO. During the three-week closure, both the elevated highway and Battery Street Tunnel (see our Extras section below for a drive through Battery Street Tunnel) will be closed so that WSDOT can realign the highway into the new SR 99 tunnel. See the diagram below, courtesy of WSDOT. Adjusting to a major closure, new openings, tolls, and another route option. When the new tunnel opens (it will initially be toll-free), drivers will have to readjust their travel from the closure to the newly opened tunnel route through and under downtown. Then, as soon as the summer of 2019, the tunnel will be tolled. 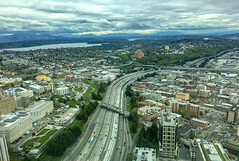 WSDOT predicts that traffic patterns will shift again after the tunnel is tolled – they expect a drop in tunnel traffic as seen from patterns on the tolled SR 520 Bridge and other toll roads in the U.S. Some drivers may use other routes (I-5, Alaskan Way, or local downtown streets) until they realize the value (toll will be within the range of $1-2.25) of time saved by using the much quicker tunnel route. 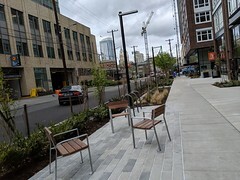 Traffic will make is final adjustments when the new future Alaskan Way surface street improvements are completed in 2021 when drivers will have another option through downtown. Transportation system monitoring and managing real-time traffic operations. 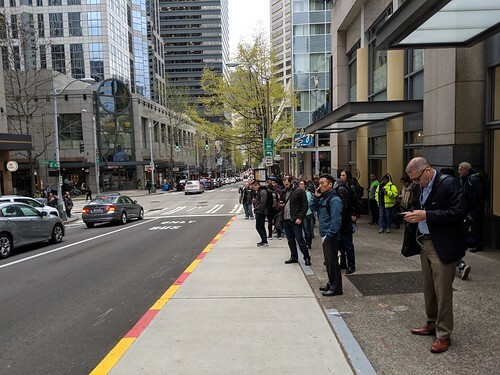 The City of Seattle cannot make mobility changes alone and are commissioning the traveling public to help reduce daily downtown Seattle trips by 1,200 in 2018 and 3,000 in 2019. There is no better time than now to #GetReady. Stay informed. 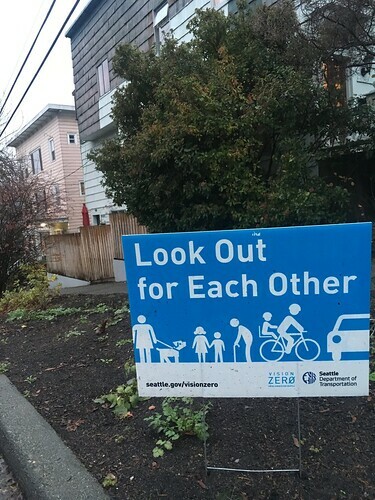 Follow the SDOT’s and WSDOT’s Twitter channels, blogs, and available online tools. WSDOT’s Travel Alerts and Times. Figure out a flexible work plan. Help employees plan for a flexible work plan. Contact Commute Seattle who is offering free consultation for businesses. Commute Seattle fosters mobility partnerships and services. 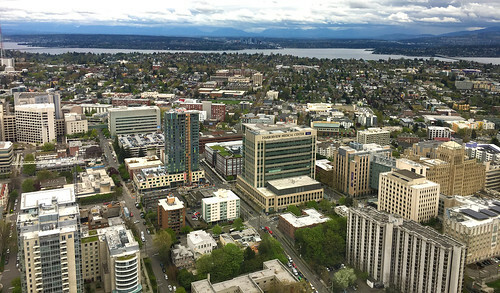 Through education, advocacy, training, and consulting, Commute Seattle is helping create a transit-supportive business culture to ensure that commuters enjoy commuter benefits and amenities. Keep a lookout in November 2018 – we’re launching a new website for all your #PeriodofMaximumConstraint information and resources. For detailed information about the Alaskan Way Viaduct closure, new SR 99 tunnel, and SR 99 tolling, visit the WSDOT source. 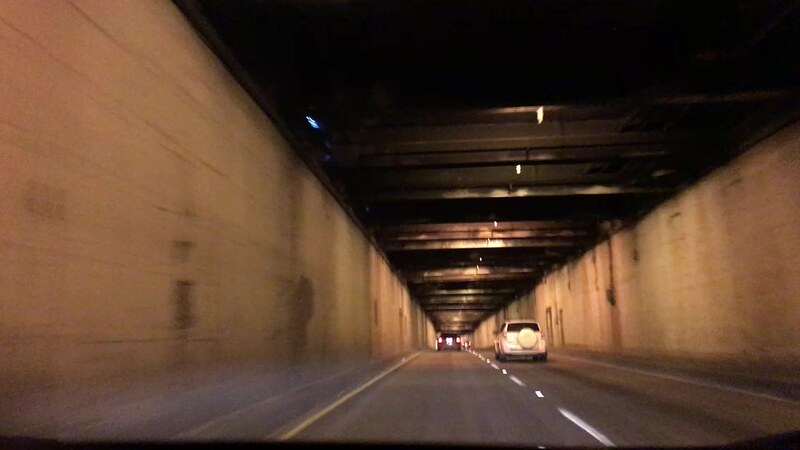 Take a drive through the Battery Street Tunnel with us. After January 11, 2019, closure, you will no longer be able to drive through it.